The accommodation bond paid to an aged care facility can range from as little as $50,000 to the largest I have seen of $1.5 million. It is commonly thought that this is a non-refundable ‘entry fee’ of going into aged care. However, in reality it is more like an interest-free loan that is either returned to the resident when they exit the facility, or to the resident’s estate upon their passing. As long as the facility is Government regulated, the accommodation bond is guaranteed by the Government and must be used for the maintenance and development of the facilities. There are a number of fees that can apply on an ongoing basis in aged care including the basic daily fee, income-tested fee, extra services fee and an accommodation charge for high-level care. These can add up to a substantial amount and cash flow becomes an important factor that needs to be carefully managed. However, when one considers the services being provided by a facility, the fees have to be kept in perspective. A facility provides a whole host of services and benefits including personal accommodation, often a room with an ensuite, communal facilities, three main meals a day organised activities and 24-hour care by qualified carers. So what are the costs? The most a resident can pay for the basic daily fee is $50.57 per day, which is actually not very much for the services provided. This equates to $18,458.05 per annum. If a resident has a high income (sometimes due to having significant assets) they might be asked to pay the income-tested fee. This can be up to an additional $70.74 per day ($25,820.10 per annum), which is a lot of money. However, put into perspective, it is only charged to those that have high income and can therefore afford it. It is still very reasonable for the services being provided. The costs of age care are based on standard rules set by the Government, with some having set formulas and others based on guidelines. There are two types of costs in particular, that can range dramatically. 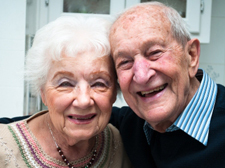 Accommodation bond which is agreed between the resident and the aged care provider. 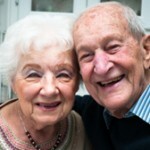 The Government allows an aged care facility to charge a maximum bond based on the assets of the resident. However, often the bond may be far below the maximum. The main thing to ensure is that the bond being charged is reasonable and not ‘above par’ for that facility. ‘Income-tested fee’ this can be variable and is calculated based on the resident’s income as calculated by the Centrelink income test. It is important to know that whether one is entering care or already in care, there are clever financial strategies that can be implemented to reduce the income-tested fee. If you are paying an income-tested fee, it is important to speak with your financial adviser about strategies to try and reduce it. Clearly, there are many facets to the aged care system and it is certainly not a simple exercise going through it. That’s why it is important to seek advice from experts that are there to help, including Centrelink Financial Information Services Officers, Aged Care Placement Agencies and your financial adviser.